Two brothers, one returning from prison, one heading as a Marine to Afghanistan. This film is apparently a remake of a Danish film that had the same story line. But it didn't have Tobey Maguire and Jake Gyllenhaal! Maguire reaches into the darkest corners of his soul to flesh out the good brother, the Marine, who returns from Afghanistan with a staggering burden of guilt. Gyllenhaal is amazing, transforming an angry, unsure ex-con into a believable figure of redemption, slowly growing before our eyes as the story unfolds. 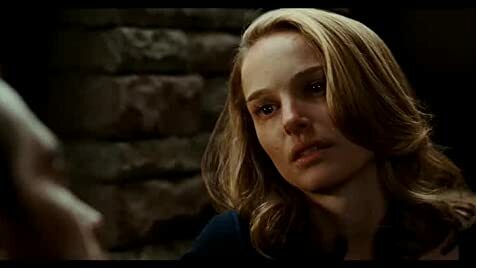 Natalie Portman is excellent and look for Carey Mulligan's four minutes of screen time. This is not an anti-war film except in the sense that any film that shows war either glorifies it unrealistically or jars us into questioning, if it is realistic. The scenes in Afghanistan seem authentic. The tortures are not so so graphic as some of the other reviews imply. They will cause you to wince, but its good film making, not microscopic detail. I want to search out Susanne Bier's 2005 film "Broedre"--it can't lessen the impact of this one, however. Originally, Jake Gyllenhaal wanted to play Sam and Tobey Maguire wanted to play Tommy. Jim Sheridan did not feel Maguire was convincing enough to play the "bad" brother, so they switched roles.